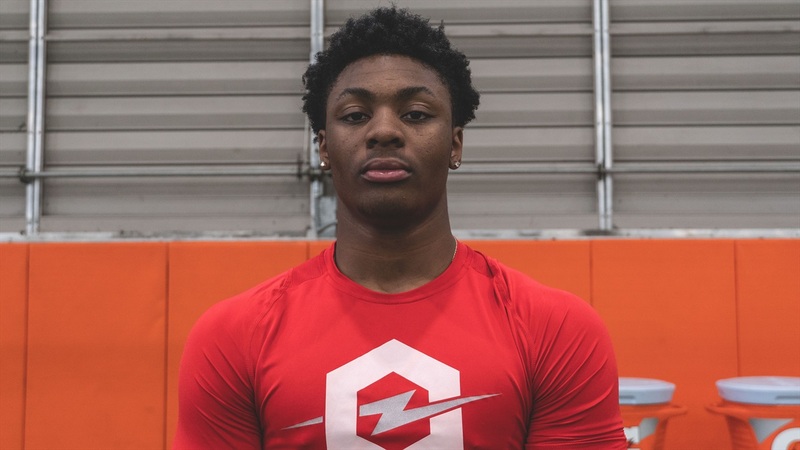 2021 Gateway (Pa.) safety Derrick Davis‍ was impressive at Sunday’s Opening regional in Ohio, but it wasn’t a surprise to those who had been following him. The 6-foot, 176-pounder already holds offers from Baylor, Boston College, Cincinnati, Duke, Georgia Tech, Kentucky, Notre Dame, Ohio State, Penn State, Virginia, Virginia Tech, West Virginia and Wisconsin to name just a few. Davis was at Notre Dame last month and found out a lot about the school, which left him very impressed with the Irish program. Like every top recruit, the NFL is the goal for Davis and Notre Dame’s NFL success was attractive to him. However, the chance to graduate from Notre Dame hit home and turned out to be Davis’ most significant takeaway from the visit. Defensive coordinator Clark Lea also made a positive impression on Davis during the visit. During the visit, Davis also met with Notre Dame football coach Brian Kelly, who had a powerful message about academics. As for a return trip to South Bend, Davis will likely be at Notre Dame in June with his high school team. While Davis has a ton of offers, he isn’t close to narrowing things down at this point in his recruitment.